EU-Parliament: "Radicalization and Violent Extremism: Focus on Prevention"
Concluding a series of inaugural meetings of the International Association of Parliamentarians for Peace in Europe in 2017, a conference was organized by the Universal Peace Federation at the European Parliament in Brussels on December 5th 2017. With the perspective that the sustainable prevention of radicalization requires joint efforts from both parliamentarians and religious leaders. On October 9th 2017, at the Czech Parliament in Prague, a conference was held under the auspices of Czech Parliamentarian Nina Nováková. Two projects were being launched: the new association “Central European Inspiration”, initiated by Mrs. Nina Nováková, and IAPP, a project of the Universal Peace Federation. On September 23-24, 2017 the International Association of Parliamentarians for Peace was launched in the Balkans in Pristina, Kosovo. The main event was held in a hall at the Kosovo Parliament Building. The conference was attended by highly respected leaders in the Balkans among them the former President Mesic of Croatia. Vienna International Centre (United Nations), September 15th 2017 - UPF and partnering organizations convened a conference commemorating the United Nations International Day of Peace with a special focus on researching the role, which parliamentarians are able to play in securing peace for Europe and its wider neighborhood. London, United Kingdom - The House of Lords was the setting for an timely discussion, organized by UPF-UK, on preventing radicalization. The event, held on June 28, 2017, was kindly hosted by the Rt. Hon. Baroness Sandip Verma. Emmanuel Dupuy, a journalist, teacher in geopolitics and researcher in geopolitical issues, offered a French perspective. Rome, Italy - The conference, titled "Family: Education and Well-being," was held on May 17, 2017, together with the International Association of Parliamentarians for Peace, the Women’s Federation and the Family Federation for World Peace. Vienna International Centre (United Nations), January 27th 2017 - Commemorating the World Interfaith Harmony Week 2017, the Universal Peace Federation organized a conference addressing the role of religions in conflict situations, which was attended by 200 guests. It was the 5th annual celebration of this special week since 2013. Universal Peace Federation-UK received a certificate for its Partnership with Parliament Week over the last three years from the Speakers of the House of Commons and the House of Lords. This is an appreciation for UPF's support of their aims of political engagement and empowerment. Rome, Italy - A major conference connected with the launch of the International Association of Parliamentarians for Peace was held in the Italian Parliament. The conference was held on September 13, 2016 under the theme "Multiculturalism, Politics and Civil Society: Synergies, Training and Projectuality". London, United Kingdom - The third of a series of regional conferences launching the International Association of Parliamentarians for Peace (IAPP) was held from September 7-9, 2016. With the theme "Interregional Dialogue Addressing Critical Challenges: Europe, Eurasia, the Middle East and North Africa" the International Leadership Conference organized by UPF represented the official launch of IAPP in these three regions. Vienna - Austria, October 30th/31st 2015 at the Diplomatic Academy. The event was the fifth in a series of Europe-Eurasia leadership conferences aiming at developing partnership and cooperation between the two regions..
Vienna International Center (UN Building), Monday, May 11th 2015, 13:00-17:00. Alongside this year's celebrations marking the 70th anniversary of the end of World War 2, two other significant milestones are the 70 years that have elapsed both since the founding of the United Nations and since Korean independence. (February 6th 2015, 13:00-18:00, Vienna International Center, C-Building Room C1) The UN designated the first week of February every year as World Interfaith Harmony Week. UPF celebrates this week each year, in a way that encourages understanding, respect, and cooperation among people of all faiths. Chisinau, Moldova - The conference "Eurasia-Europe Dialogue for Peace" took place Dec. 5-7, 2014 in the capital city of Moldova. Before an audience of 120 participants, the conference was opened by the First Lady of Moldova Mrs. Margareta Timofti, she was followed by distinguished guest speakers from Austria, Belgium, Great Britain, Moldova, Netherlands, Russia and Ukraine. The Permanent Mission of Afghanistan in Vienna, ACUNS Vienna Liaison Office and UNODC organized a colloquium: “Afghanistan – a Country in Transformation: Promoting Peace and Development through Art” on 2 December 2014 in the VIC. There the UPF Ambassador for Peace Award was granted to the UN Goodwill Ambassador Farhad Darya. 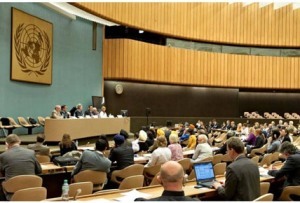 Geneva, Switzerland - UPF organized this forum at the Palais des Nations (UN headquarters) in Geneva on Oct. 31, 2014. Among the topics discussed was a proposal by South Korea to build a large regional UN complex inside the demilitarized zone that divides North and South Korea. ATOMIC BOMB AWARENESS DAY - GENBAKU-NO-HI 8.8. (August 8th 2014, UN Vienna International Centre) Mrs. Yuko Gulda in cooperation with UPF, ACUNS and the United Nations Office for Disarmament Affairs Vienna organized the 2014 GENBAKU-NO-HI celebration. Geneva, Switzerland - A conference on "Family Values and Their Link to Economic Well-being and Social Outcomes" took place at the UN headquarters in Geneva June 30-July 1, 2014. London, UK - In commemoration of World Refugee Day 2014, Youth UPF UK held a forum in London on “Forced Displacement and Migration: Time to Rethink Human Dignity” on June 16, 2014. Paris, France - In partnership with the Permanent Mission of Tajikistan to the European Union and several NGOs, a conference on the theme of “Eurasia and Europe: Cooperating for a Culture of Peace and Human Development” took place in Paris December 3-4, 2013. 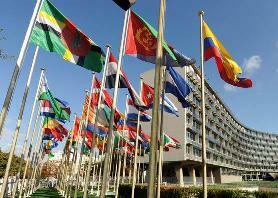 "Human Rights: Are Democratic Nations Upholding a Better Standard?" was the theme of a European Leadership Conference Nov. 21-22, 2013 in the Houses of Parliament in London. Muslim, Jewish and Christian speakers addressed issues of religious inclusion in Europe. (September 20th 2013, Vienna International Centre) Conference in UNIS Cinema room, Cultural program and Ringing of the Peace Bell. Organized by Universal Peace Federation (UPF), Academic Council of the United Nations System (ACUNS), Art of Reconciliation with the support of UNIS Vienna and the Embassy of Guatemala. (July 5th 2013, Vienna International Center) UPF Austria in cooperation with ACUNS Vienna and the Best of the World Network organized a conference as part of the cultural event "CarnaVienna 2013" by ABRASA, an Afro-Brazilian Cultural Point in Vienna. December 4th-5th 2012, Commemorating Human Rights Day 2012, Brussels - European Parliament & European Economic and Social Committee. Berlin, 16-17 November 2012 - European Leadership Conference with 3 central themes: The economic and financial crisis – causes and solutions? 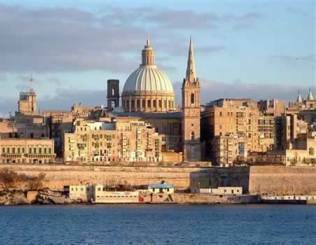 The political crisis – More Europe! But how? The crisis of values – what values for the new Europe? 250 participants gathered on October 12th in the Vienna Int. Centre, the UN building, for a conference which is part of a series of events held at the UN in Geneva, UNESCO in Paris, National Parliaments in the UK and Norway and in the Presidential Palace in Malta. (Stortinget, Oslo, Norway 20th-22nd September) European Leadership Conference - United Nations International Day of Peace 2012. 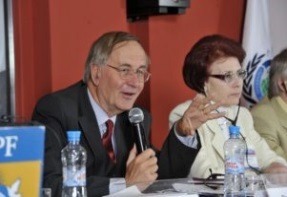 Pristina, Kosovo - As security and peace in the Republic of Kosovo is fragile and threatened, international experts, government officials, members of the Kosovo parliament, and representatives from civil society met May 28-29 in the capital, Pristina. Paris, France - UPF's first European Leadership Conference of 2012 took place at the UNESCO headquarters in Paris April 12-13 under the patronage of the Permanent Delegations of the Sultanate of Oman and the Republic of Kenya to UNESCO. "Capacity for Otherness in Pluri-Identity Societies," by Dr. Walther Lichem. 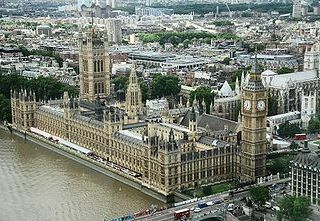 December 8th - 10th 2011, London, Houses of Parliament. Geneva, Switzerland - The Chapel of the World Council of Churches in Geneva was filled to overflowing with an exciting intergenerational, international and interreligious mix to explore the theme "A New Paradigm for Global Family in a Culture of Peace" on May 13. 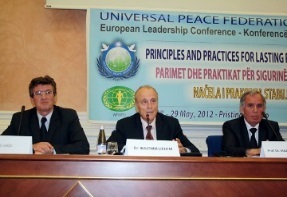 An European Leadership Conference sponsored by UPF and Women’s Federation for World Peace, was held in on April 30 and May 1st in Norway. That the UPF Founders Dr. and Mrs. Sun Myung Moon should set their eyes on Oslo, was an awesome surprise and blessing for Scandinavian Ambassadors for Peace. (Geneva: March 25 - 26, 2011) During sessions held at the World Council of Churches and at the United Nations Office, nearly 200 participants were welcomed. (Vienna, Dec. 8th 2010) Consultation on an “Interreligious Council” as an organ of the United Nations, introduced by Rev. Dr. Sun Myung Moon in a speech delivered in New York in August 2000, when its establishment at the UN was proposed for the first time. The importance of better harmony and cooperation among believers of all faiths is a central thrust of UPF’s work around the world. During the tour UPF Chairman Dr. Hyung Jin Moon and his delegation made a special point of visiting locations with a strong ties to Europe’s religious heritage. Three hundred participants representing more than 40 NGOs and leaders from civil society gathered in one of the biggest NGO meetings ever held in the United Nations building in Vienna in the UNIDO board room to attend the Austrian event of the Global Peace Tour 2009.